Apistus carinatus Bloch and Schneider, 1801, Tranquebar, India. 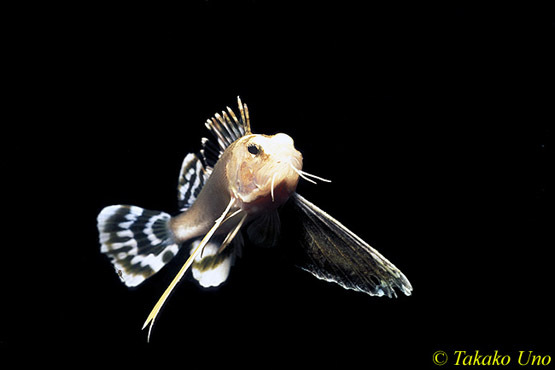 English: Bearded waspfish; French: Rascasse ocellйe; Spanish: Rascacio ocelado; Japanese: Hachi. Reaches 6.7 in (17 cm) maximum length. An orange, bronze, or gray scorpionfish, with greatly expanded pectoral fins and free pectoral rays, similar to those seen in sea robins and stingfishes. 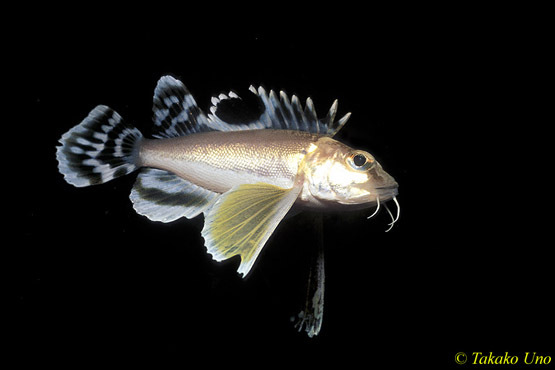 Becomes increasingly white ventrally, with a characteristic ocellated black spot on the posterior half of the spinous dorsal fin. Widely distributed species found throughout the Indian Ocean and the western Pacific. They range from South Africa north to the Red Sea and Persian Gulf in the western Indian Ocean and from China and Japan south to Australia in the Pacific. Typically collected on the continental shelf on muddy or sandy bottoms at depths ranging from 66–197 ft (20–60 m). 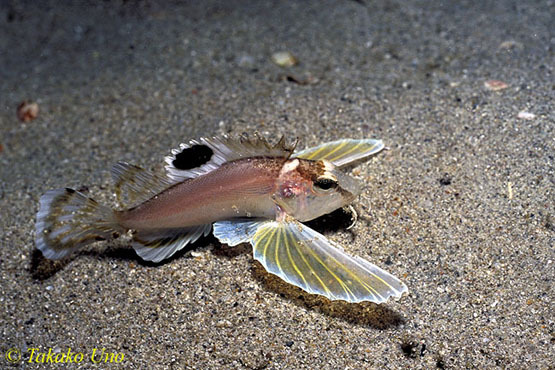 The ocellated waspfish, like sea robins and stingfishes, moves slowly over the seafloor, searching through the soft bottom with its free pectoral rays. It is highly venomous. 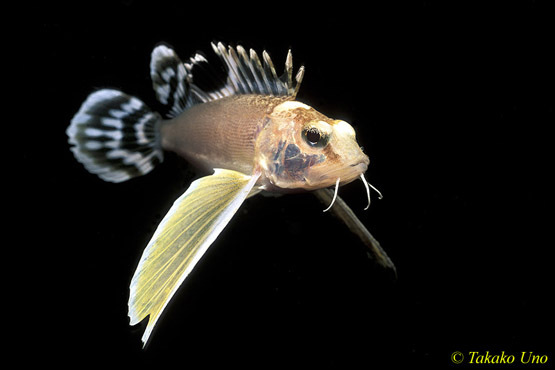 Like most scorpionfishes, the ocellated waspfish feeds primarily on crustaceans and fishes; it is preyed upon by humans. 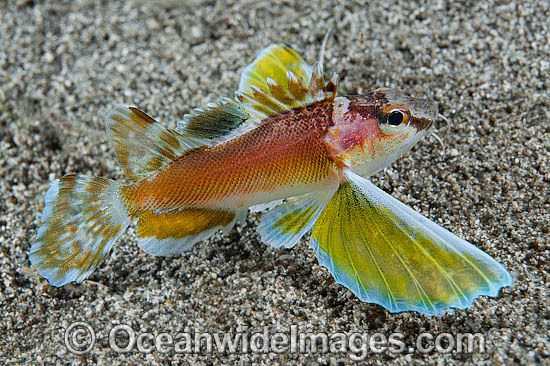 The ocellated waspfish is a commercially important food fish that is collected by trawls and seines in small quantities. This fish is sold in markets either fresh or dried and salted.